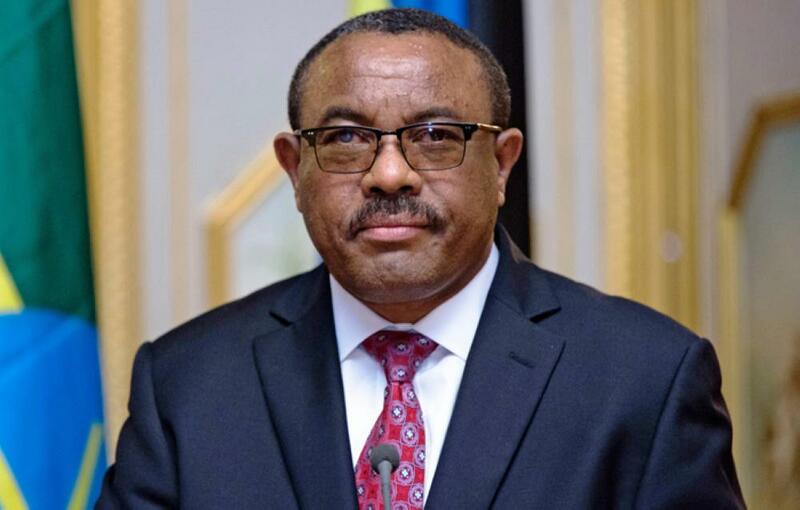 ADDIS ABABA (ORIENTAL REVIEW) -- The Ethiopian Prime Minister unexpectedly resigned and triggered another state of emergency in Africa’s second-largest country. Premier Hailemariam Desalegn made the announcement late last week but said that he’ll continue to execute his professional duties until the government appoints a successor. This surprise move occurs against the backdrop of the authorities releasing dozens of jailed opposition figures who had been charged with terrorism and other related crimes since around the time that the last state of emergency was implemented in fall 2016. Back then, it was just the country’s largest ethnic group, the Oromo, who were involved in the unrest, and they were galvanized by the government’s plans to expand the capital region into their historic territory that completely surrounds Addis Ababa. Now, however, this group has also been recently clashing with ethnic Somalis over land rights along their contentious internal frontier, and Ethiopia’s second-largest minority and traditional state-forming people of the Amhara have separately begun their own anti-government demonstrations as well. Altogether, ethnic groups representing well over half of the country’s population are creating serious disturbances across the state, and the commonality behind their actions is their shared discontent with the nature of Ethiopian federalism. The opposition believes that it is superficial and only pays lip service to the titular minorities of each region, while the authorities claim that devolving any more powers would lead to the “Balkanization” of the country. The security situation is made all the more pronounced by the fact that some of the ethnic minority groups opposed to the government are armed and reported to receive assistance from Ethiopia’s neighboring foe Eritrea, an erstwhile region of the now-landlocked state that achieved independence in 1993 and has since been committed to undermining its former homeland. This explains why Addis Ababa felt compelled to impose another state of emergency in order to preempt any threats that might materialize during this sensitive time. As to why the Prime Minister resigned in the first place, it wasn’t necessarily a direct result of the disturbances themselves but rather the “deep state” divisions that they contributed to accentuating. The Oromo and Amhara parties that are part of the governing Ethiopian People’s Revolutionary Democratic Front (EPRDF) have presumably felt pressured by the unrest in their regions to press their Tigrayan and Southern People’s counterparts – the first of which is reported to have disproportionate influence over the state – to allow for the release of their jailed ethnic compatriots, which in turn inadvertently emboldened the “federalist reformers” even more and contributed to a spiraling security crisis that only the Prime Minister’s resignation and subsequent state of emergency have any chance of controlling. The consequences of these latest events aren’t just limited to the Horn of Africa country, however, as they have serious implications for China as well. The recently opened Djibouti-Addis Ababa railway functions as China’s “African CPEC” in that it represents Beijing’s main Silk Road investment in the continent, but this vital transit corridor to Africa’s second-largest country and China’s main partner in the landmass could be endangered if the Oromo agitations aren’t quelled and armed groups sabotage this route. Moreover, the simple perception of Ethiopia as a “dangerous” place – whether objectively true or not – could serve as a disincentive to international investors and slow down the impoverished country’s fast growth rate, thereby hampering its economic modernization plans and indirectly impacting on China’s grand strategic expectations for Ethiopia and the rest of Africa by extent in the context of the emerging Multipolar World Order.